While the Second Amendment to the United States Constitution gives individuals the right to bear arms, the states have wide discretion in regulating who can own, use, or otherwise handle firearms, the scope of such privileges, and how to regain those privileges if they have been lost. One of the most common ways to lose your firearm privileges is to be convicted of a felony. This article discusses what issues arise concerning firearm possession, use, and handling after being convicted of a state-level felony. However, there are other ways that an individual who is not convicted of a felony may lose his right to own, possess, use, or otherwise handle firearms in Virginia. The main provisions disqualifying individuals in Virginia from gun possession, use, or handling are concentrated in Code §§ 18.2-308.1 through 18.2-311. It may surprise you to find out that you do not even have to be convicted of a crime to lose your right to possess a firearm. For example, Code § 18.2-308.1:1 through § 18.2-308.1:3 all deal with situations involving mental health issues. If a person is acquitted of a crime by reason of insanity at the time the offense was committed, they cannot own a firearm. Likewise, if someone was involuntarily committed or declared incompetent, they cannot possess, use, or otherwise handle a firearm. A violation of any of these provisions can be punished as a class 1 misdemeanor. If you have lost the ability to possess a firearm for a reason concerning your mental competence, you can seek to regain those rights. A person who falls into this situation must seek reinstatement from the General District Court for the jurisdiction in which they live. Or, if the person is not Virginia residents, in the General District Court for the jurisdiction that last heard a matter concerning the proceedings that led to disqualification. The person seeking reinstatement of their rights must show to the Court that they “will not be likely to act in a manner dangerous to public safety and that the [reinstatement of rights] would not be contrary to the public interest.” Code § 18.2-308.1:1. In deciding whether restoration is appropriate, the Court must consider the individual’s criminal history, treatment record, and reputation as developed through character witness statements, testimony, or other character evidence. Another way an individual may lose the right to possess, use, or otherwise handle a firearm is by having a protective order in place. Protective orders, which are civil cases, have the ancillary consequence of depriving individuals the right to possess, use, purchase, or otherwise handle firearms. Violating this law can lead to a class 1 misdemeanor conviction. There is also no way to restore the right to possess a firearm while a protective order is in place. However, upon expiration of the protective order, the right to possess, use, or otherwise handle firearms is automatically restored. In Virginia, a person who is not legally present in the United States and is not a citizen also cannot possess, use, or otherwise handle a firearm. If a person who is not here legally is in possession of a firearm, they can be convicted of a class 6 felony. This will have additional negative consequences for the person. A third and less commonly known way to have one’s firearm rights limited is after being convicted of two or more misdemeanors within 36 months. For this law to disqualify an individual, the two misdemeanor convictions must be drug-related. Even if a person falls within the provisions of this statute, they are only ineligible to “purchase or transport a handgun.” There is no limitation on using or continuing to own handguns that were previously obtained by the individual. Additionally, this statute only puts a prohibition on handguns, but not rifles, shotguns, or other types of guns. Moreover, five years after the last conviction, this restriction is automatically removed. If you need clarification on whether you can possess, use, or otherwise handle a firearm, we are here to help. If you need help restoring your rights because they were lost or restricted because of one of the circumstances above, we can help you with that too. 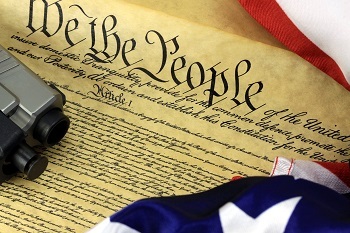 Give us a call to find out what can be done to preserve your constitutional rights.